What is Tinnitus and How Do I Treat It? Credit: http://www.freedigitalphotos.net/images/view_photog.php?photogid=851Have you been experiencing persistent ringing in your ears? Have you wondered if it might be tinnitus? One in five people will have tinnitus at least once in a lifetime. The whys of tinnitus may be different for every sufferer since there is a wide range of causes for ringing in the ears. This is why you should always seek a physician’s diagnosis of tinnitus. Below is a quick guide to common tinnitus symptoms so you can understand if you’re experiencing it. The noises you hear can be in one ear or in both, at any pitch and there can be more than one sound at a time. They can be continuous or come and go at any time. Usually the noises can only be heard by the tinnitus sufferer and they can be attributed to a variety of causes like stress, damage to the inner ear nerves or other problems with the ear. Sometimes the doctor can actually hear the ringing sound when an exam is performed on the sufferer. This is called “objective” tinnitus and can be blamed on the blood vessels, a muscle problem or an inner ear bone condition. Because of the kind of sound tinnitus sufferers deal with, they might have a hard time hearing external noises or it might be difficult for them to concentrate. The persistent ringing in the ears can get worse in quiet situations; for example, at night when one is in bed and trying to sleep. Tinnitus can also flare up in response to stress or anxiety. All those who live with tinnitus are affected by it differently and that explains why some can live with it and others cannot. Although tinnitus is itself a significant symptom with an underlying cause such as a medical cause, aging Credit: http://www.freedigitalphotos.net/images/view_photog.php?photogid=2829 or ear damage from a loud noise, it is often what sufferers seek treatment for first and foremost because of its persistence. It is important that you seek a diagnosis to rule out any serious conditions for your tinnitus. Treatment for tinnitus can vary and be dependent on why the condition developed. Here are some well-known treatments to treat persistent ringing in the ears. Medication: If tinnitus was originally caused by ear infection, medicine can be prescribed to treat the condition. Further, anxiety or depression can trigger tinnitus and managing those conditions with medication can eliminate tinnitus. As of yet, there is no known medicine for direct treatment of tinnitus. Some medications for other conditions can cause or exacerbate tinnitus and in these cases the solution may be as simple as switching to another medicine. Hearing Aids: If a tinnitus sufferer has impaired hearing and wears a hearing aid or aids for it, these devices can help make external sounds louder to mask the ringing. Surgery: This is required if the underlying cause for tinnitus is determined to be a benign tumor that can be removed. Removing Earwax: A buildup of earwax can cause tinnitus and a doctor can remove the excess to alleviate the persistent ringing in the ears. Noise Generators: This is a common tinnitus treatment that works by covering the ringing. They are sometimes administered as part of a hearing aid or used with speakers to alleviate symptoms. One example of this is when the sufferer is trying to sleep. Complementary Therapies: Sometimes tinnitus sufferers get little or no relief with conventional treatment. This may be the time they turn to complementary therapies such as herbal remedies (link here), hypnosis, massage, reflexology or yoga. Positive Thinking: This may not be a treatment per se but rather a way of coping with tinnitus. Doctors can recommend counseling or Cognitive Behavioral Therapy to reprogram your negative thoughts about tinnitus. Studies show that managing the condition is easier for people who adopt a positive attitude about the ringing in their ears. 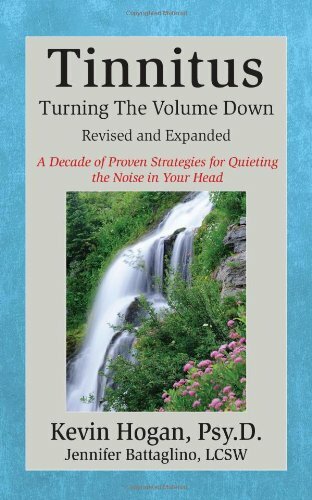 Tinnitus Retraining Therapy: Commonly known as TRT, this method used counseling and sound therapy to assist sufferers with coping and ideally retrain how the brain understands the noise. The goal of TRT is for the brain to ignore the noise and make an individual less aware of the noise. A tinnitus sufferer must work with someone trained in TRT and therapy may require many sessions. You can really only begin treatment for tinnitus once you have a doctor’s official diagnosis. Further, while none of these treatments are definite cures, there is some hope in therapies that have been developed so that people can learn to ignore the noise to increase their quality of life.